Some of the very best inventions and cool new gadgetry make their debut at the Consumer Electronics Show in Las Vegas every year. This year was no exception. January 2016 saw devices like the SensorWake Alarm Clock that uses your olfactory organs to whisper “rise and shine” to you in the mornings and the new fitness tracker for dogs called WonderWoof BowTie that doubles as a fashion accessory. 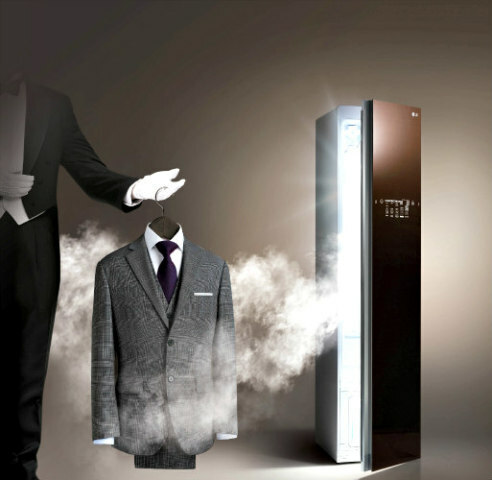 Another device that was garnering a lot of attention was the LG Styler, a steam closet that acts as a dry cleaner for cleaning, freshening, deodorizing and removing wrinkles from your clothes. If you own a lot of garments that require a trip to the dry cleaners, you know how quickly the costs associated with it can add up. Unless it’s a set uniform, you can’t even write it off on your taxes, even if the clothes that need the service are only worn for work. 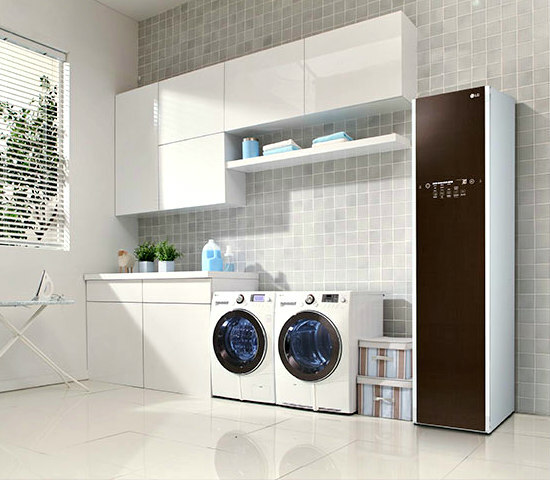 Now, with LG’s home or office Styler closet, you can do it yourself. The device resembles a small pantry or broom closet. Once you turn it on, the cabinet fills with steam and the hangers begin to sway so that your clothes are basically swished around while it removes up to 99.9 percent of germs and bacteria deposited on them. 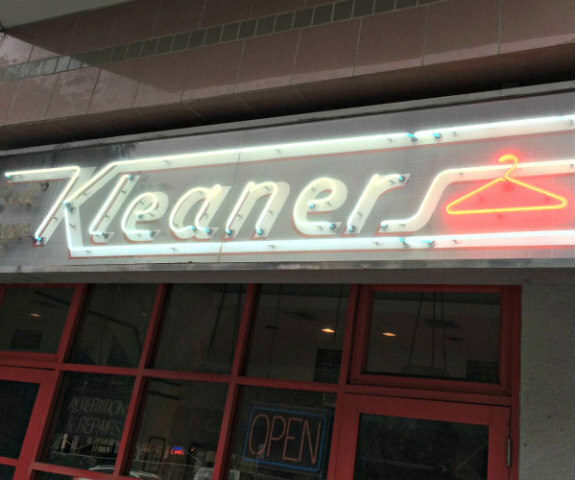 Traditional dry cleaning is achieved through a process using strong chemicals, which a lot of times stink. The LG Styler is said to eliminate 92 percent of the chemical residue left on clothes from prior dry cleaning treatments with its hot TrueSteam spray technology. It even features a built-in trouser press for keeping pant creases nice and crisp, if that’s important to you. Because the devices are available to the public, you could keep one at your home or office. They’re only 72.75 inches tall, 17.5 inches wide and 23 inches deep while weighing 183 lbs., that's plenty streamlined enough to add to your laundry or break room. Besides hangers, there’s a rack for sweaters and other items that could lose their shape if hung while being steamed. It also comes with an aroma kit feature for releasing a variety of refreshing scents into fabric as it’s going through the cleaning/freshening process. And speaking of cleaning, the LG Styler Sanitary Cycle purportedly removes allergens, so it’s great for bedding or kids’ toys as well. Because it’s basically a smart product, users are able to customize settings straight from their Android mobile devices, of which LG has plenty. They’re a significant provider of smartphones and other smart technology. LG also envisions the Styler for commercial applications such as extra amenities in places like spas, salons, restaurants, hotels and airports while you wait. If you’re a small business owner, this might be a good investment for giving you an edge over your competitors. And it’s actually a great idea if they have them set up in airports and airport lounges for frequent fliers needing to freshen the clothes they’ve been traveling in before important meetings and presentations. Because of its sleek design, it’s not an eyesore, so it wouldn’t be intrusive in almost any setting. If you’re interested in the device, you can go straight to the LG Styler webpage for more information. The page allows you to put in your ZIP code for the location of the nearest vendor available to you. Apparently, Lowe's is carrying them as well as ABT and a store called Airport Home Appliance in California. The price will probably vary by store and location.